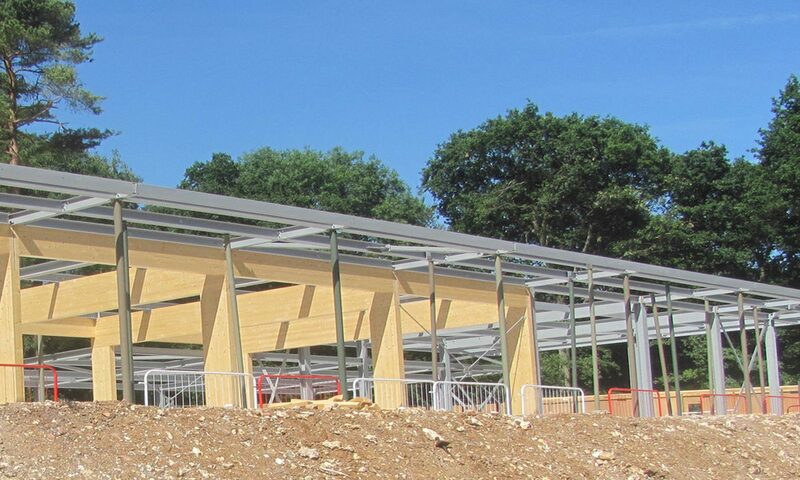 A new visitor centre for the Forestry Commission in The Chilterns. 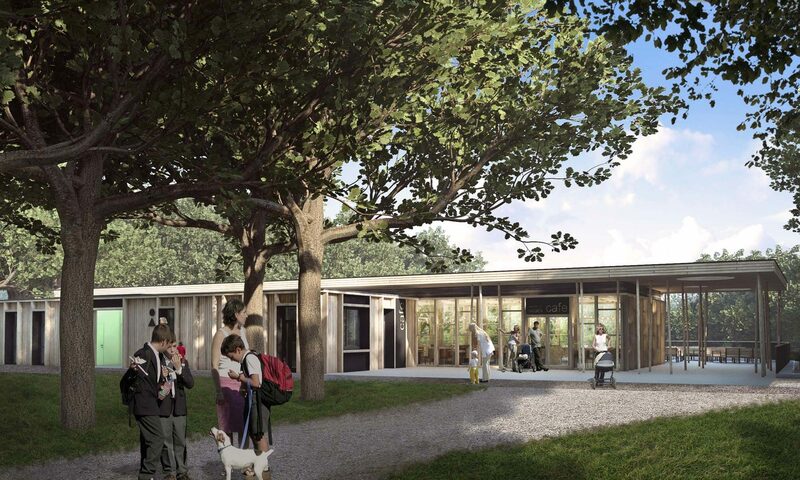 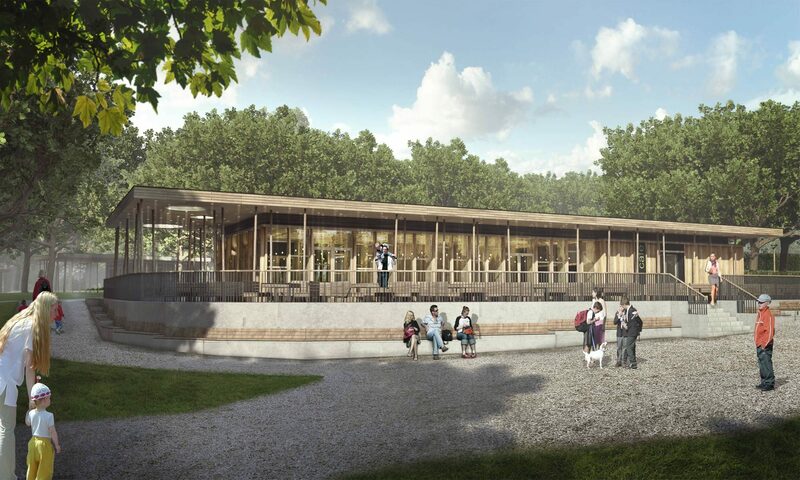 The project comprises a new visitor centre and cafe, rangers welcome buildings, new convenience facilities, new woodland trails, play areas, workshops and a new 600 space parking system. 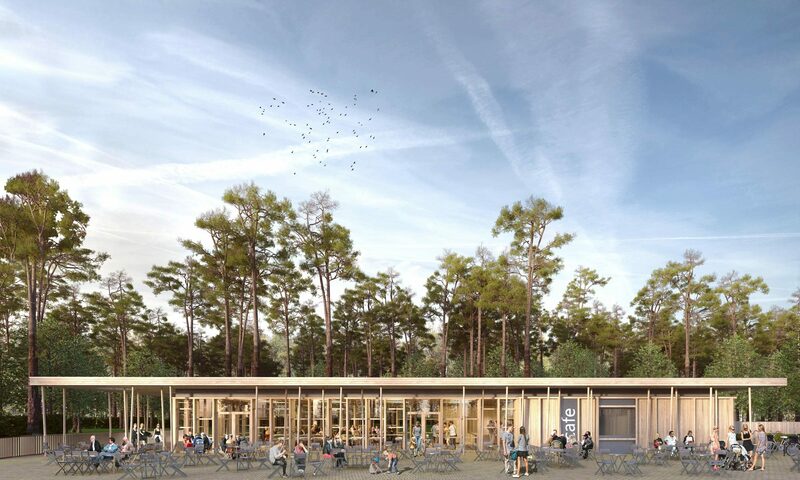 The concept for the centre was to create a simple delicate floating plane suspended on a thin support structure referencing the notion of a ‘forest of columns’.